It looks so nice: a friendly, well-dressed teacher announcing to a group of eager-looking individuals that they will be given a 'fair' assignment! It's almost too good to be true: we could wish life were always like that! But how fair is 'fair'? Does this reflect the actual abilities of these individuals? Let�s look at an individual who has a reading difficulty. It may be a 12-year old boy who is in a good school but still cannot spell well, does not read fluently and often cannot understand what he reads. This is indeed far below the �norm�: with good tuition, a 12-year old should be able to read, able to gain new knowledge through reading and able to express himself in writing. So when this boy is writing a class test, he will definitely score very low. This accounts for one of the reasons some children drop out of public basic schools in Ghana as the whole process of teaching and learning is designed for "the average". 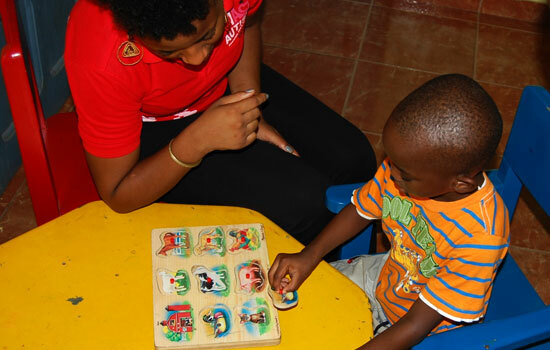 Meanwhile this child may have very good visual abilities: he may be well able to learn through pictures or objects, and gain "above average" knowledge through these channels of learning. He also may be well able to express himself through drawing or sculpting or acting. His verbal abilities may also be 'above average', meaning that the same class test in oral form would have earned him high marks. In Ghana learning is measured only through collective (written) tests. This means that children who have abilities that are outside the average are always at a disadvantage. 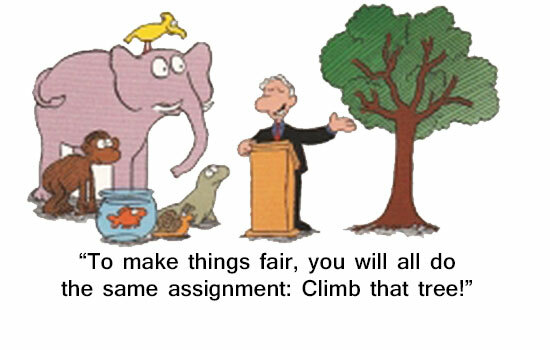 They fail to benefit from the teaching and do not perform well in the 'fair assignments'. In a context of fewer possibilities of finding employment without formal education, these individuals will become more and more visible in society. In time, if the educational system does not provide better for them, they will become a burden on society for lack of alternative opportunities. The curriculum needs to be made more inclusive with a variety of learning activities which allow children to learn in different ways. And learning achievement levels should not be measured only through exams but be balanced with marks for practical activities and learning efforts. To make "Education for All" really beneficial to "All", 'Education' needs to be re-designed as a system that meets individual learning needs and measures learning according to abilities. Inclusion Ghana will be organizing a training for all of its member organizations on how to effectively create and maintain parents self help group(s) for persons with intellectual disability. If you are currently running a parents self-help group, or are just about to try your hands at facilitating one, and would like to learn strategies and techniques that might help, then this training was designed just for you. Join the training and also improve your knowledge on legislations that relate to persons with intellectual disabilities. The umbrella term specific learning difficulties (SpLD) are used to cover a wide variety of difficulties for example reading or mathematics. These learning difficulties typically affect a student's motor skills, information processing and memory. No two individuals have the same combination of SpLD and it is impossible to extrapolate a description from one person to another. - A toddler who can�t tell you where it hurts or why he is upset. - The 8-year-old who is socially awkward and can�t relate to her peers. - The teenager with a developing body, but limited access to programs that help him grow and explore. - The parents who lose sleep over who will provide care for their adult child with autism after they are gone. You are not alone. The Autism Awareness Care & Training in collaboration with Awaawaa2 and Inclusion Ghana today advocates and offers effective services and supports for children with autism, offers reliable information to parents, and provides a platform so that parents, professionals, and those on the autism spectrum can meet, share resources and experiences, and receive the latest information. 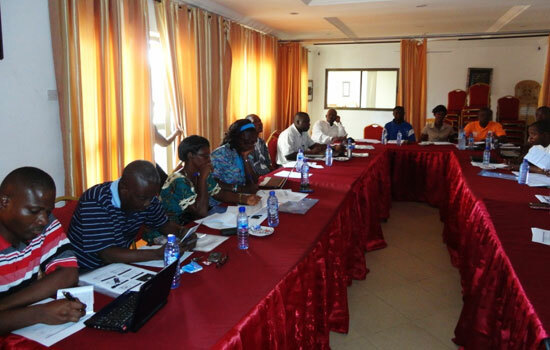 Inclusion Ghana was recently represented at a National Stakeholder's forum on the persons with Disability Law, 2006 (ACT 715) organised by the Ghana Federation of the Disabled. The Objective of the forum was to chart the way forward on the development of appropriate Legislative Instrument (LI) for the Persons with Disability Law. Since the passage of the Persons with Disability Law in 2006, there has been little or no commitment to the implementation of the provisions in the ACT, something that is very dear to Inclusion Ghana�s heart. 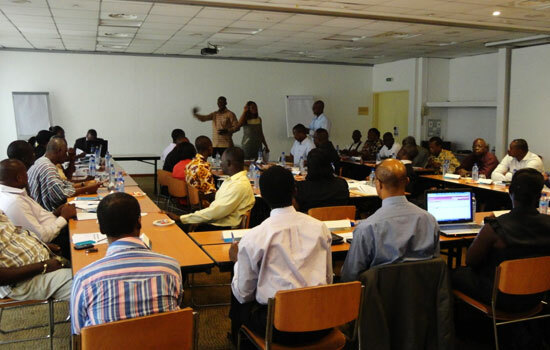 Inclusion Ghana, being a major stakeholder, was invited to this strategic forum to make an input in charting the way forward of developing the operational guidelines. There was representation from the Government and the meeting was also well attended by Disabled People Organisations. With some commitments made by all present at the meeting after a lengthy discussion, it is hoped that by the end of September, the finalised LI with inputs from all stakeholders will be before Parliament for its passage so that the rights and needs of persons with disabilities can be demanded.